CATALYST is over, long live Edgesense | Wikitalia - Non vogliamo governare, ma partecipare. Earlier this week, the CATALYST project underwent its review meeting in Brussels and got the thumbs up from the European Commission. This means we can wrap it up for good. CATALYST was Wikitalia’s first-ever European project. We worked side by side with great communities of activists like Purpose and CSCP, and with collective intelligence scientists from the likes of MIT, Open University and Imagination for People. Despite many a bureaucratic hurdle (overcome by the ever-brilliant Andrea Delli Colli and Gabriella Spaziani), it has been a fantastic learning experience. What we are left with is a software toolkit to help collective intelligence function in online debate. Wikitalia plans to use it to power public debate with a view to making government more open and collaborative, which is why we exist to begin with. We gave a sneak peek of our new project, called Agile Civic, during the Italian Digital Day. Stay tuned for a formal launch. The first one is Edgesense, an application for easy social network analysis of online conversations. We have had very high satisfaction from early users, Big kudos to everyone involved: lead developer Luca Mearelli, Alessio Cimarelli, Spyros Kalaitzis and the other contributors. The second one is Masters of Networks 3, a very inspiring and generative event. We will definitely investigate doing more of them. The third one is that we pulled off a European research project. It was not always easy, but we are glad we made the investment. We believe that we Italians can only come to embrace high standards in open, participatory and collaborative government if we work side by side with other Europeans and our common institutions. 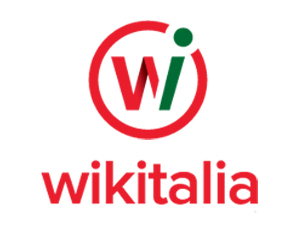 Wikitalia has opened an international channel that everyone in our country is now welcome to use. If you want to know more or collaborate, do get in touch, we’ll be delighted to discuss.